Young Singaporean and Malaysian politicians have united in speaking out against recent attacks on churches in Malaysia. Youth wing leaders from the Singapore Democratic Party and Parti Keadilan Rakyat (People’s Justice Party) issued on Thursday a joint statement condemning the attacks as “barbaric and cowardly” attempts to “undermine the racial and religious harmony and understanding painstakingly built over many generations”. Young Democrats president, Priveen Suraj, and Angkatan Muda Keadilan chief, Shamsul Iskandar Mohd Akin, also urged people to exercise restraint and “avoid playing into the hands of those who have vested interests in seeing violence escalate”. Shamsul Iskandar’s comments echo that by Parti Keadilan Rakyat leader Anwar Ibrahim, who last week described the attacks as un-Islamic. However, such public condemnations from leading politicians, including Prime Minister Najib Tun Razak, have so far failed to discourage further acts of violence against non-Muslim places of worship. About ten attacks have been reported as of Thursday, the most recent of which saw unidentified assailants throwing red paint onto a church in southern Johor on Thursday morning. According to Al Jazeera English, about eight other churches and a Sikh temple have been subjected to firebombing or acts of vandalism in past week. 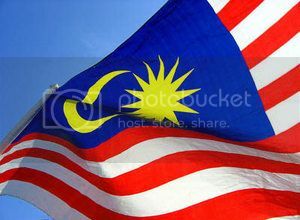 The attacks, which began on 8 January, were triggered by the Malaysian High Court’s ruling on 31 December 2009 that the word “Allah” is not exclusive to Islam, and that the Malaysian Home Ministry had no power to ban non-Muslims from using the word. We, the undersigned, condemn in no uncertain terms, the arson and violence against churches following the spate of controversy over the disputed use of the word “Allah”. We stand in solidarity with all segments of the society that promote peace and justice and urge all sides to exercise their utmost restraint in dealing with the matter to avoid playing into the hands of those who have vested interests in seeing violence escalate. It is without a doubt that the recent attacks on churches in Malaysia is an attempt to undermine the racial and religious harmony and understanding painstakingly built over many generations. Given the close ties and cultural similarities that we have with Malaysia, Singaporeans are watching the incident closely and we, the Young Democrats, stand firmly with our Malaysian counterparts in calling for a peaceful resolution to the matter. Violence has no place in our world today, and acts of violence at places of worship where the general populace seek peace of mind and solace are especially deplorable. However, these acts of violence should not, and must not be framed in the perception of communal and religious conflict between Muslims and Christians, as they are as much an insult to the tenets of peace as espoused by Islam and all religions, as they are to Christianity. We enjoin all segments of Malaysian society to condemn this spate of barbaric and cowardly acts, and call upon all groups with differing spiritual, cultural and ideological backgrounds to reach a consensus by rational dialogue.